The cabinets: Meticulous. Custom. Crisp white. 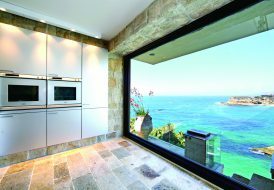 The appliances: Stainless steel from Sub-Zero and Miele, and a Summer Blue-hued La Cornue range. 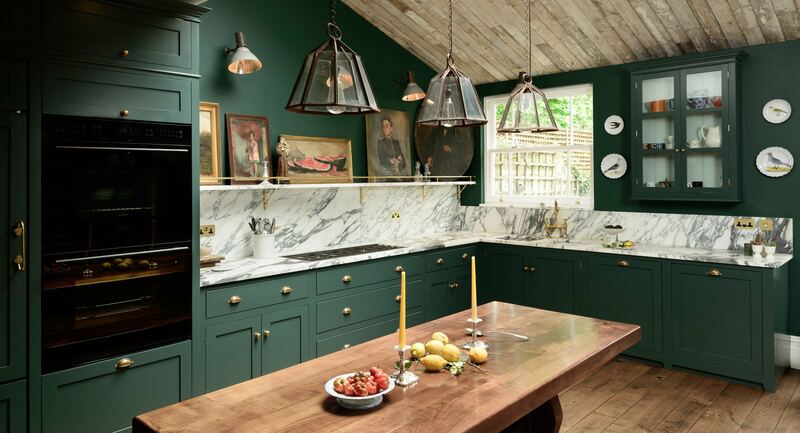 This unexpected pop of color is brought to you by a vivid new trend showing up in many of today’s kitchens. 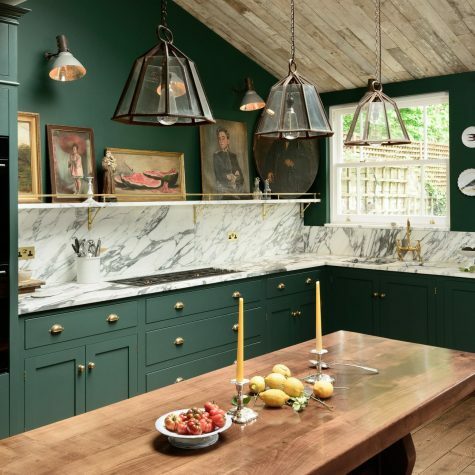 Call it an inevitable pendulum swing away from the preponderance of white we’ve seen in high-end kitchens over the past few years or simply a new way to express your vibrant style in the heart of the home, but color is making a comeback. We talked to Alison Victoria of Alison Victoria Interiors, @TheAlisonVictoria Instagram fame, HGTV’s Kitchen Crashers, and the new HGTV program, Windy City Flip, premiering on the channel in August, about where this trend is going and how she’s incorporating color into her own kitchens. 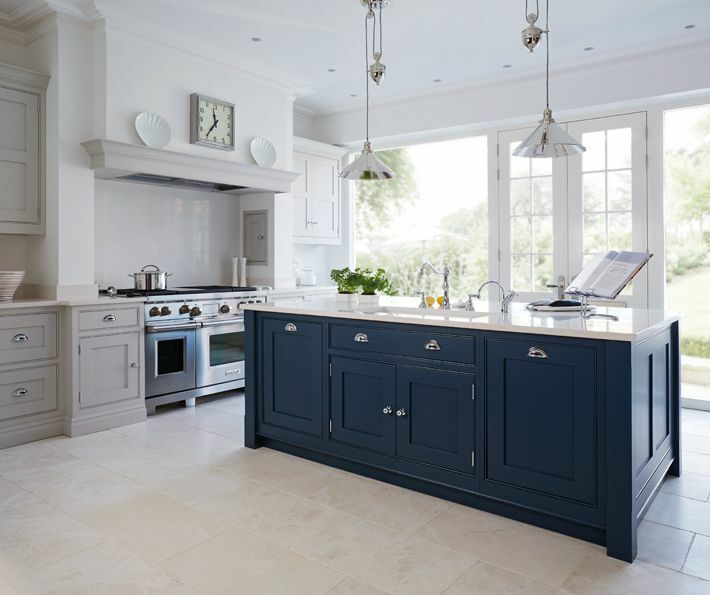 Coldwell Banker Global Luxury Are we making room for a new wave of colorful kitchens or do you think color will exist alongside white kitchens? Alison Victoria I see color working with white. People are having fun with islands, which can stand out with bold color. It’s a great way to feel like you’re not making too much of a commitment. People are often scared of color. Some designers are making a splash and getting risky, but it’s hard to convince people to try it. 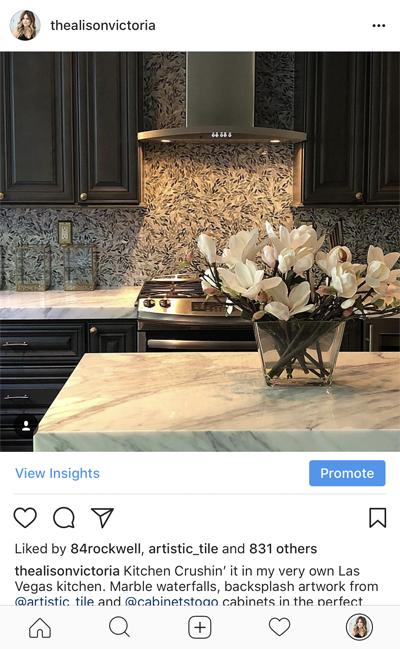 Coldwell Banker Global Luxury When it comes to color, what are the best options in terms of placement—walls, appliances, accessories, backsplashes? Alison Victoria Nobody wants to change their kitchen every year, so you want to love what you have. When looking at appliances, ask yourself if you are going to love that bright red range in 10 years. You also need to think about other people’s impressions for when you go to sell. Red is aggressive, and buyers often walk away from homes because of the hardscapes—floors, cabinets, counters, appliances. You can layer color in different ways—cabinet hardware, lighting, accessories, the island, and the wallcoverings at the back of a glass-fronted cabinet door. The backsplash is another great place to experiment with color and texture. I always tell people to have fun with art, and the backsplash is the art of the kitchen. 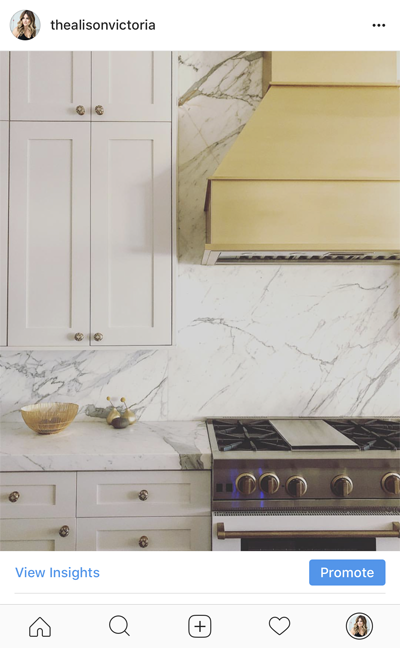 Coldwell Banker Global Luxury The all-white kitchen trend was around for a long time. Will the return to color be as pervasive, or are we entering a time of anything goes? Alison Victoria I think it’s a trend. What I love about this trend is it’s easy to change without breaking the bank—depending on where you place your color. 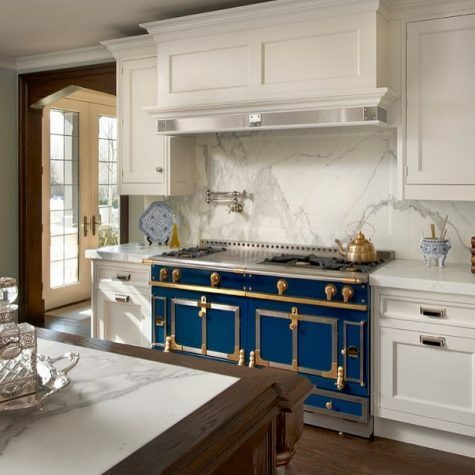 Coldwell Banker Global Luxury How do you feel about the bold, painted colors we’re seeing on kitchen cabinetry? Alison Victoria I love how much fun people are having with color in the kitchen. Bringing color into the cabinets is a big commitment, but it won’t break the bank if you decide to change it down the road. 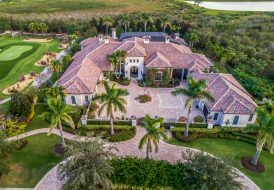 Resale is always a big concern for most people, but what’s most important is what YOU want while you’re living in your home. 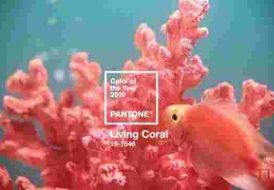 Coldwell Banker Global Luxury How about specific colors? What trends are you seeing? Alison Victoria I’m seeing a lot of greens and blues right now. I’m using turquoise for my kitchen backsplash, with darker cabinets that are almost black mixed with wood tone with grays in it. Gray is still the new neutral and will be around for a very long time. Coldwell Banker Global Luxury Any geographic differences you’re seeing in color selection? Alison Victoria I have homes in Las Vegas and Chicago, and my kitchens are very different. In Las Vegas, I have all stained gray cabinets and a bolder backsplash. My head is in Chicago right now because that’s where I’m filming Windy City Flip and spending most of my time, and the city is so eclectic. If I were in a place like Nantucket, I’d be working with a lot of blue and white, and if I were in Miami, we would see a lot of whites. Coldwell Banker Global Luxury Do you have clients asking for more color or is it something you’re guiding them toward? Alison Victoria Right now, because I’m building and designing, I’m putting my homes together in a different way. Building the homes myself allows me to try to have a little more fun with them. With millennials who are in the market, they seem to be willing to go a little bolder, so I’m experimenting with color and it’s helping me sell my homes. For the show, I’m flipping my own houses that I own in my hometown of Chicago with my business partner; we’re renovating these homes that have been stripped of all their historic love, going out and finding pieces that are old artifacts and fixing them up. We’re not restoring, but paying homage to the architecture of Chicago. In my own kitchen, when I think ‘color,’ it’s expressed in different finishes. I made myself a custom hood in all brass. It makes a big statement, and I had to make a commitment to it. In 10 years, I will still love it. Coldwell Banker Global Luxury Do you consider metals to be colors? Is that a way to help ease people into the idea of going a little bolder or doing something a little different? Alison Victoria I do consider metals to be colors. Brass is back and I love mixing metals as well. I just did hardware with mother of pearl and brass inlay. Hardware is a great place to have a little fun, too. It’s an accessory in the kitchen, just like wearing a watch, ring, or bracelet, and it can be switched out easily.